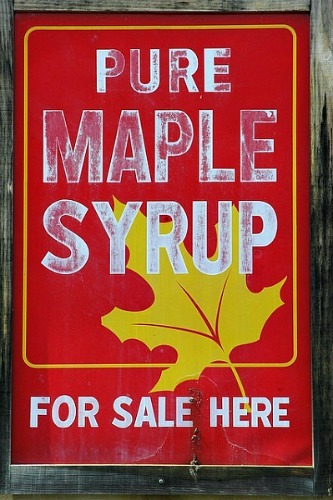 Anyone who has tasted real maple syrup understands that it’s worth celebrating. Infinitely more than just a waffle condiment, it is the treat of honor at the Vermont Maple Syrup Festival, held in St. Albans, Vt., and now in its 46th year. The three-day festival draws in more than 50,000 people every year and is run entirely by volunteers. This year, the festival will run from April 27 to 29, with arts and crafts, a Vermont maple cooking contest, endless servings of maple syrup at the classic pancake breakfast, and plenty of innovative maple-infused foods. One of the festival’s most anticipated events is the Vermont maple dinner. Here, a big maple ham is the culinary centerpiece and dinner guests will have the opportunity to chat with sugar-makers and learn about the season’s maple crop. Then, there’s the annual Sap Run, a maple-themed foot race, and the Grand Parade, where attendees can get an up-close look at the Maple King and Queen. But perhaps the main event is the Maple Exhibit Hall, where cooking contests, tastings, and cooking demonstrations are held. Samples of maple syrup of all grades are available for tasting, while other producers offer fresh maple cream frosted doughnuts, maple creemees (like a syrupy soft-serve ice cream), and other delicious maple treats. Visitors can also get insider tips on the secrets of cooking with maple. During the festival, St. Alban's Main Street will be filled with entertainment and delicious treats, such as maple cotton candy, maple shakes, and maple sugar-on-snow. Take a trip to tour a sugarhouse and watch sap from sugar maple trees being boiled into maple syrup. After all this maple goodness, it will be pretty hard to go back to Aunt Jemima.